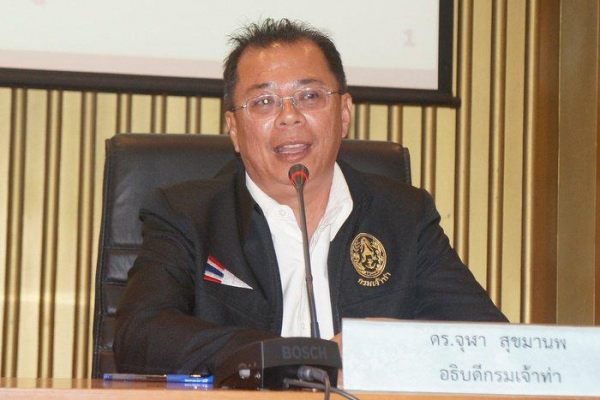 The Phuket Gazette and the Bangkok Post reported of the government will be pushing Thailand as a major yachting destination in the region using a four-pronged approach, the Marine Department director-general revealed at a public meeting in Phuket yesterday. To achieve Thailand’s goal, government offices will be working closely with maritime industry leaders to establish potential locations for new marinas in Thailand, develop and promote a yacht show, establish a one-year chartering licence for superyachts and review other laws that are hampering the growth of the industry. “We want to make Thailand more attractive to the yachting industry. We did a study 11 years ago about potential locations for more marinas. However, the information is now out of date,” said Marine Department Director-General Chula Sukmanop. “So we need to talk with the public and source ideas for promising locations in both the Andaman and the Gulf of Thailand. "We have many beautiful places for yacht charters to visit, so we just need to establish what locations best represent Thailand. "The development of these marinas will be the responsibility of the private sector.However, we will provide consultation for what needs to be done to complete an Environmental Impact Assessment." The idea of yet another yacht show in Phuket was mooted by the director-general but did not draw much support in some quarters “We are looking to hold another yacht show, similar to what Phuket has done in the past. We will be aiming to have it sometime during the high season. It will be a positive boost to the yachting businesses in Phuket,” Mr Chula said. The organizers of the Singapore Yacht Show, by far the region's largest and most successful, have announced the launch of a 'Phuket Yacht Show' focused on superyachts for later this year or early next year at Yacht Haven. Andy Dowden, Director of the Phuket International Boat Show (PIMEX), addressed the crowd to say that Phuket did not need another boat show. However, he allowed that a new boat show elsewhere in the Kingdom should not be an issue. Gulu Lalvani, chairman of Royal Phuket Marina, spoke out in strong support for the adoption of a one-year foreign-flagged superyacht chartering licence. “There are many superyacht owners who would bring their superyachts to Phuket if they could charter them while here, and I know many people who charter superyachts around the world for in excess of US$100,000 (about 3.4mn baht) per week. Introducing a charter license for superyachts who wish to charter in Thailand will significantly increase charter revenue for the country,” Mr Lalvani said. Thailand will define a superyacht as 30 meters* or longer, Mr Chula confirmed yesterday. The meeting did not delve into the details of what other laws and adjustments would be made that constitute the fourth prong of Thailand’s approach to garnering an economic boost from the yachting industry. “We will be working on all aspects necessary to ensure that Thailand becomes the maritime hub of Southeast Asia. We plan to have a final picture of how we can make this happen by the end of the year,” Mr Chula said.